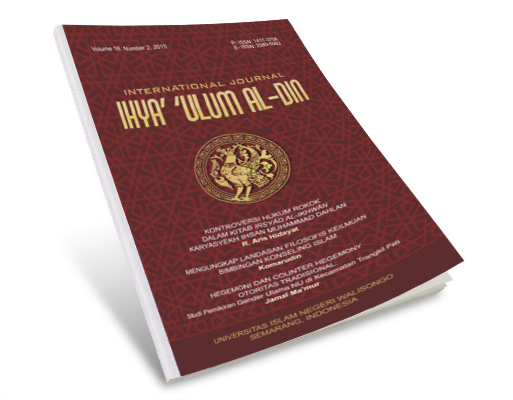 International Journal Ihya' 'Ulum al-Din is an Indonesian journal of Islamic Studies published biannually by the State Islamic University (UIN) Walisongo Semarang Indonesia. The journal was firstly published in March 2000, presented in three languages (English, Arabic, and Indonesian). The journal focuses on Islamic studies with special emphasis on Indonesian Islamic original researches. KEBIJAKAN RUANG PUBLIK PEREMPUAN DI SAUDI ARABIA: Benarkah Sebuah Agenda Politik Double Interest?